The store will be closed temporarily in preparation for the sale event. 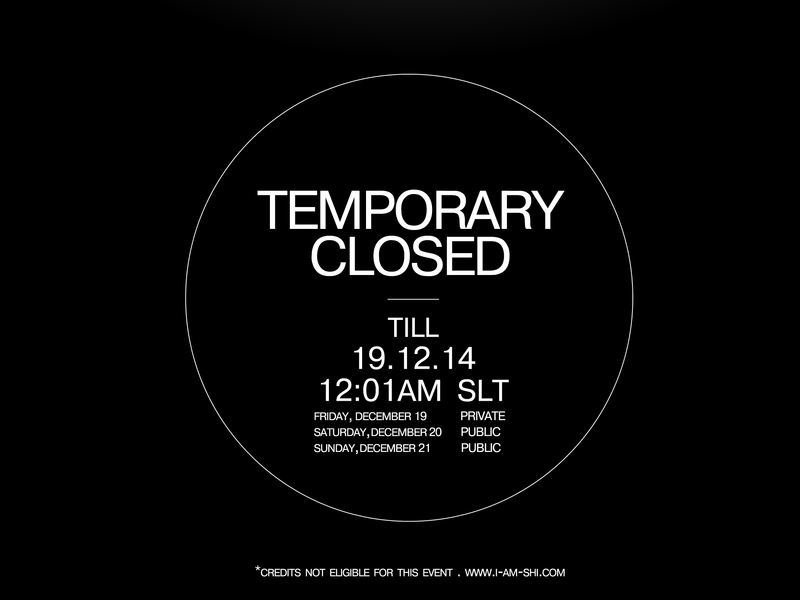 We will re-open again for the 3 days sale event commencing tomorrow on Friday 19th December 12:01am SLT. Do note that the first day is a private sale for members only and will open to ALL on Saturday 20th December 6:00 am till Sunday 21st December 11:00 pm. *Members, please wear your group tags before heading down! For shoppers who purchased something within 7 days of item being placed on sale, fret not please see our “Price Adjustment Policy” http://i-am-shi.com/store-policy/ .